Blood sugar plummets in many people when first quitting. The most common side effects felt during the first three days can often be traced back to blood sugar issues. Symptoms such as headache, inability to concentrate, dizziness, time perception distortions, and the ubiquitous sweet tooth encountered by many, are often associated with this blood sugar drop. The symptoms of low blood sugar are basically the same symptoms as not having enough oxygen, similar to reactions experienced at high altitudes. The reason being the inadequate supply of sugar and/or oxygen means the brain is getting an incomplete fuel. If you have plenty of one and not enough of the other, your brain cannot function at any form of optimal level. When you quit smoking, oxygen levels are often better than they have been in years, but with a limited supply of sugar it can’t properly fuel your brain. 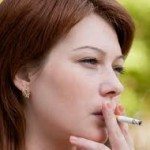 It is not that cigarettes put sugar into your blood stream; it is more of a drug interaction of the stimulant effect of nicotine that affects the blood sugar levels. Cigarettes cause the body to release its own stores of sugar and fat by a drug type of interaction. That is how it basically operated as an appetite suppressant, affecting the satiety centres of your hypothalamus. As far as for the sugar levels, nicotine in fact works much more efficiently than food. If you use food to elevate blood sugar levels, it literally takes up to 20 minutes from the time you chew and swallow the food before it is released to the blood, and thus the brain, for its desired effect of fuelling your brain. Cigarettes, by working through a drug interaction cause the body to release its own stores of sugar, but not in 20 minutes but usually in a matter of seconds. In a sense, your body has not had to release sugar on its own in years, you have done it by using nicotine’s drug effect! This is why many people really gorge themselves on food upon cessation. They start to experience a drop in blood sugar and instinctively reach for something sweet. Upon finishing the food, they still feel symptomatic. Of course they do, it takes them a minute or two to eat, but the blood sugar isn’t boosted for another 18 minutes. Since they are not feeling immediately better, they eat a little more. They continue to consume more and more food, minute after minute until they finally they start to feel better. Again if they are waiting for the blood sugar to go up we are talking about 20 minutes after the first swallow. People can eat a lot of food in 20 minutes. But they begin to believe that this was the amount needed before feeling better. This can be repeated numerous times throughout the day thus causing a lot of calories being consumed and causing weight gain to become a real risk.